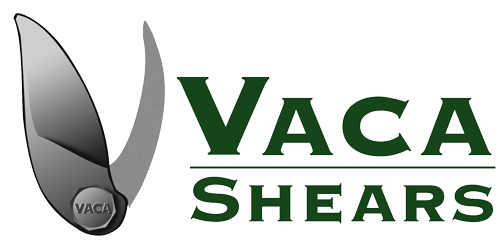 Established in 1912, Vaca Shears are the highest quality shears available to the professional fruit industry. All Vaca tools are designed for continuous daily use. Cutting efficiency is of the utmost importance, and the geometric design finely balances ease of cut without excessive arm movement for tireless operation. Top grade, high strength forgings make Vaca tools stronger than other brands. High strength aluminum handles are lightweight and offer resistance to bending or breaking. Wood handles are made of #1 hickory. The extended period heat-treat process used in conjunction with high nickel alloy steel creates maximum toughness, while maintain the necessary hardness for long tool life.